Coppélia is a classical ballet famous for its comic tone and happy ending. It was the result of the work of three affirmed figures, Arthur Saint Léon who created the choreography, Léo Delibes who composed the music and Charles Nuitter who wrote the libretto. The premiere was on 25 May 1870 with a seventeen years old etoile, Giuseppina Bozzacchi, who was at her debut (Ivor Guest, 1974: 229-253). Coppélia, unlike many other nineteenth century ballets, has a particularly self-confident protagonist, called Swanilda. After discovering that her potential rival Coppélia, is a doll, she rescues her fiancé Franz from the dark powers of Dr. Coppelius and finally marries him with the blessing of the whole community. 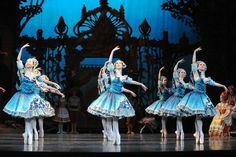 The main theme of the ballet is that of the double with the protagonist taking up the doll’s role in Act II in an amusing and technically demanding set of variations (Marinella Guatterini, 1998: 71). As many other ballets, Coppélia is based on a literary work, specificlly “The Sandman” (1816) by German Romantic writer and composer Ernst Theodor Amadeus Hoffmann. “The Sandman” is the Gothic and dark story of Nathanael, a young man with a poetic soul whose obsession with the Sandman has haunted his mind since childhood. In the tale, the dichotomous approach between Clara, Nathanael’s girlfriend and Olimpia, the automaton, is not so sharp as in the ballet as the main theme revolves around the eyes and their potentially disturbing effect especially in relation to the Sandman, a bogeyman who “comes through the window and throws sand in wakeful children’s eyes” (Marina Warner, 2000: 31) to pluck them off and offer them to his children. Nathanael explains his childhood obsession with the Sandman, after he has met Coppola, an old man selling glasses who closely resembles him. Nathanael associates the Sandman with lawyer Coppelius who, together with his father, used to make mysterious experiments. During one of these experiments, his father died. Clara tries to find a logic in Nathaneal's dark visions, “it is the phantom of our own self whose intimate relationship with, and whose powerful influence upon our soul either plunges us into hell or elevates us to heaven” (E.T.A.Hoffmann, 1967: 192), she wittily asserts. Nathanael recounts of his accidental encounter with professor Spalanzani's daughter, beautiful Olimpia, whose eyes are characterized by a “strangely fixed look” (E.T.A.Hoffmann, 1967: 194). The narrator opens with a metafictional approach addressing the reader and talking of the art of storytelling. Then, he proceeds with the actual narration of Nathanael’s now recurrent obsession with Coppelius, in spite of Clara’s mitigating presence. Back in the town where he is studying, Nathanael is visited by Coppola who convinces him to buy a “pocket perspective” (E.T.A.Hoffmann, 1967: 203) through which he can see Olimpia very vividly. Nathanael falls in love with Olimpia by insistingly looking at her through Coppola’s perspective. Professor Spalanzani, Olimpia’s daughter, gives a concert and ball to introduce her into society, Nathanael goes, dances with her and declares his love to her. However, he soon finds out she is an automaton and the shock drives him mad. Saved by his friend Siegmund and looked after by Clara, Nathanael has another crisis when he wears again Coppola’s perspective. This time he cannot be saved and kills himself. The Sandman by Andy Lang. In this interplay between different perspectives, the reader may feel confused but he/she is also implicitly invited to take an active role (Birgit Röder, 2003: 20). Moreover, the characters’ personality is quite ambivalent as they are not constructed according to a binary structure, but they rather merge into each other, blurring traditional boundaries between male and female, ideal and real, good and bad and so on. This is particularly true of the two female protagonists, Clara and Olimpia, woman and doll, whose distiction is recurrently questioned. Clara is presented trough a patchwork of “of points of view” (Sarah Kofman, 1991: 135) where architects, painters, poets and musicians praise her figure (E.T.A.Hoffmann, 1967: 196-197). She is the object of artists’ contemplation and, at the same time, she is also quite self-assertive, especially when she refuses to listen to Nathanael's “stupid, senseless, foolish” (E.T.A.Hoffmann, 1967: 200) stories. On the one hand she appears to be the perfect example of domestic bliss, on the other, she is not willing to accept her role as future wife, without expressing her point of view. At one point, Nathanael calls her “lifeless automaton!” (E.T.A.Hoffmann, 1967: 200) when he cannot face her refusal to listen to his poems. That same automaton, in the guise of Olimpia, will give him his narcissistic happiness. In a reverse process, Nathanael literally infuses life into Olimpia who, to his eyes, becomes a real woman. When he first sees her, she does not make a striking impression on him, her eyes are devoid of a “power of vision” (E.T.A.Hoffmann, 1967: 194). Once Coppola, who so much resembles evil Coppelius, sells him a pocket perspective, his vision of things acquires a new dimension. Olimpia becomes an attractive woman and the exclusive object of his desire. Through Coppola’s perspective, he can see her in a different light, and he can fullfill his Pygmalionan (Ovid, 1994: 398-401). wish of shaping her as his own ideal beauty. Her eyes become “large and lustrious” (E.T.A.Hoffmann, 1967: 204) and her figure at the window hypnotises him. At the ball organised in her honour, Nathanael dances with her, talks to her, courts her and, in subsequent visits, even reads her many of his compositions, barely noticing that her only answer is the syllabic “Ah! Ah!” (E.T.A.Hoffmann, 1967: 209). Olimpia is then a real automaton who is transformed into a woman by Nathanael. At the same time, the narrator presents another way of perceiving her, that of the other participants at the ball. In spite of Olimpia’s perfect piano playing, her impeccable pace in dancing and singing, a consistent suspicion on her artificial nature is perceived by most of the people who repeatedly laugh at Nathanael’s blind love (Birgit Röder, 2003: 15). This perspective is enhanced later on, when Siegmund, Nathanael’s friend, attempts in vain to bring him to reason. Olimpia is his real love and Clara is completely forgotten. The characters’ ambivalence and the multiplicity of perspectives brings us to reflect on the main theme of the story, that of the eye. This is a theme that crosses Hoffmann's tale on different levels. Sigmund Freud gave a psychonalitic interpretation and saw it as fear of castration. In his notorious essay, “The Uncanny” (1919), he utilises Hoffmann’s tale to exemplify the notion of the uncanny, “that class of the frightening which leads back to what is known of old and long familiar” (Sigmund Freud, 1955: 220). The ambivalence of the word ‘uncanny’, as Freud highlights, embodies both the sense of familiar and unfamiliar, heimlich and unheimlich, and, as we have seen, it is particularly pertinent to Hoffmann’s blurring of opposite categories. Another level of this motiv has to do with the definition of characters. Within the narrative, the eye theme is more explicitly associated with the figure of the Sandman. As Birgit Röder has argued, the Sandman/Coppelius/Coppola poliedric identity represent a stimulative power which inspires Nathanael’s creativity (Birgit Röder, 2003: 67), he is terrifying and energetic at the same time. Therefore, the Sandman too is an ambivalent figure of fear and attraction. He embodies the double-edged potential of Gothic imagintion that can destroy the poet’s mind and, at the same time, can expand it to its creative climax. As Fred Botting has noted, in Gothic literature, “on the one hand, transgression enables limits and values to be reaffirmed, terror and horror eliciting rejection and disgust; on the other hand, it draws eyes and imaginations, in fascination, to peep behind the curtain of limitation in the hope of glimpsing illicit excitements made all the more alluring for bearing the stamp of mystery or prohibition” (Fred Botting, 2001: 2). Behind this figure, there is also a wider aspect of the eye theme that pervades the whole text. It is the assumption according to which seeing is equated with knowing. This is a belief that has been anaysed by Michel Foucault (Michel Foucault, 1983), and that has its rootes in the development of anatomy as a science during the Renaissance. In particular, the dissection practice (Jonathan Sawday, 1995) allowed anatomists to see what was inside the human body, a procedure which gave the sense of sight a supremacy over the other senses. As a consequence of that, Barbara Maria Stafford argues, the eighteenth century saw a shift “from a text-based to a visually dependent culture” (Barbara Maria Stafford, 1997: xviii), a shift that has major cultural implications. In Hoffmann's story, the eye theme is almost as hypnotic and obsessive as the Sandman’s presence. It also emerges during the narrator's digression on the question of writing. Exemplifying the need to express one's own inner thought, the narrator says, “What do you see?” (E.T.A.Hoffmann, 1967: 195), and he proceeds associating the urge to write with that of describing “the inner pictures in all their vivid colours, with thier lights and their shades” (E.T.A.Hoffmann, 1967: 195). Nathanael himself can see in different manners when he wears Coppola’s perspective, perceiving a reality which is quite diffrent from that which he is otherwise in contact with. The word itself ‘perspective’, is significant, and adds another layer of interpretation to the story. Celebration for the new town bell. Coppélia, Dr. Coppelius’s daughter, sits reading at the balcony of her house. Various people try to wave at her in vain. Swanilda and Franz quarrel and make peace and the community dances various dances, like a the folk dance Csárdás. The act ends with Swanilda getting into Dr. Coppelius’s house together with her girlfriends. Swanilda and her friends explore the room where Dr. Coppelius makes his experiments and find out that Coppélia is an automaton. Coppelius surprises them, causing them to escape except Swanilda who hides in the closet where Coppélia is kept. Franz arrives from a window, is drugged by Coppelius who wants to steal life from him to give it to his doll. He opens the closet and Swanilda, disguised as Coppélia, appears pretending to be his doll. She wants to save his fiancé and dissimulates her transformation into a human, dancing a Spanish bolero and a Scottish gigue. Then, as Franz begins to wake up, she fights Coppelius and wins againt him together with Franz. Coppleius then discovers the tragic truth about his doll. The town gathers together to celebrate the marriage between Franz and Swanilda. A series of dance sequences structured in allegorical terms are presented, like “The Dance of the Hours”, to signal the passing of the night, “The Aurore”, for the arrival of the day, “The Prayer”, etc.. Then Franz and Swanilda dance a grand pas de deux to which a final gathering follows. Lisa Pavane/Swanilda and Greg Horsman/Franz, Act I. The novella and the ballet differ in three main aspects: structure/plot, main theme and tone. The ballet was considerably changed and simplified in terms of structure and plot. There are no letters written, no flash-backs into Nathanael’s childhood, no ambivalence in the characters’ delineation. The character of Coppelius loses his multiplicity and melts into Nathanael’s ideals in his relationship with Coppélia. Nathanael is consistently reduced in scope and complexity. Swanilda is the protagonist and is much stronger than Clara, literally facing Coppelius to liberate her fiancé. Olimpia is perhaps the character that does not undergo substantial changes, even though she is the fulcrum around which the comic sketches and the main action revolve. In particular, when Swanilda disguises as Coppélia, the audience is always fully aware of who she really is and this escamotage results in the narrative climax of the work, aided by the two technically demanding variations. She kinetically passes from a doll-like mechanical set of gestures and steps to her fluid movements expressing anxiety for her finacé. Dancewise, she shows her technique in the bolero, with wide movements supported by the use of a fan, and the gigue, with very fast and precise leg and feet movements. Interestingly then, Act III, presents some allegorical tableaux and a dimentional shift in the narrative, together with a complex display of dance variations, each of which has its pace and movement quality. “The Dance of the Hours” is a group dance characterized by an almost architecturally constructed use of the port de bras that often moves from fourth to fifth position. “The Aurore” has a faster pace and delightful steps, such as piquet and pas de chat, while “The Prayer” is slower and more sedate in her arabesque penchée. This brings us to the second aspect, the main theme, which is not the eye metaphor, but the woman/doll double (Eva-Maria Simms, 1996: 663-677) . Both Hoffmann's tale and Saint Léon's ballet are permeated by the myth of Pygmalion who fell in love with the female figure he had sculpured and found ‘true’ love when she was transformed into a real woman (Ovid, 1994: 398-401). Swanilda disguised as Coppélia, Coppelius and Franz, Act II. The history of automata goes back to the first century A.D. when pneumatic and hydraulic automata where conceived. Automata are definable as “self-moving things” (Ian Grant, 2003: 314) and they do not necessarily have a human form. It was at the end of the eighteenth century that the first writing and speaking human shaped automaton was created. It was devised by Pierre and Henri-Louis Jaquet-Drotz in 1773 and was termed ‘androids’ to distinguish it from automata (Ian Grant, 2003: 322). Their creation was conceived as entertainment, but, at the same time, it provoked the debate over the status of automata “as a mechanical artifact” (Ian Grant, 2003: 325). Hoffmann's story is to be considered in the light of this context and it fully expresses the rising anxiety towards technology. The classical example is Frankenstein by Mary Shelley, who first elaborated the idea for her book in the summer of 1816, the same year in which “The Sandman” was published. In both these two stories, the protagonist struggles between madness and death to cope with his creation. In both cases, death is the ultimate cosequence of the protagonist’s action (Karin Preub, 2003). Coppélia, in turn, exemplifies the change in perception towards technology, which began to be seen in terms of progress and not fear towards the second half of the nineteenth century. At this stage, human shaped automata had become mere ornaments and the ambition to create artificial human beings had been replaced by the intention to re-create the human functions without thier shape. This represented the main shift that transformed society from rural into industrialised (Ian Grant, 2003: 330). That is why perhaps Coppélia could only make a parody of what in Hoffmann’s time was an anxiety. At the same time, ballet maintained an intrinsic contradiction because the classical techinque, that is the language through which it expressed its stories, was rooted precisely in the time of cloworks and automata, the seventeenth and eighteenth centuries. As Bergner and Plett have highlighted, “the ballerina body represented both an extreme construction of idealised femininity and a potential metaphor for mechanical perfection” (Gwen Bergner, Nicole Plett, 1996: 168). The classical technique, with its five feet positions and their combination, provide most of the steps performed in classical ballet, and it embodies the rational and empirical approach typical of clockworks. Colin Peasley/Coppelius finds out about his lifeless doll, Act II. The third aspect has to do with tone which from the horror-striken Gothic is turned into a light-hearted comic tone. Sally Banes, comparing it to earlier Romantic ballets, attributes this shift to the historical and social changes, which occurred in France throughout the nineteenth century. The Romantic age was a period of uncertainties while “the late 1860s were a time of prosperity, confidence, and expansion” (Sally Banes, 1998: 36). In this sense, the anxiety towards technology expressed in “The Sandman” was replaced by a steadier vision in the ballet. Coppélia is, then, to be seen in the light of a larger cultural context where the French middle-class was the ruling force and where theatre was given the principal function of entertainment. Since the opening, the doll Coppélia, as has been said, is the source of the comic tone, with members of the community, Franz and Swanilda included, waving at her in vain, as he eyes remain fixed on her book. As James Feibleman has noted, “the element of surprise” is typical of comedy, “something is expected and does not happen” (James Feibleman, 1962: 180), waving at a person who does not even raise her eyes, creates this hilarious result, especially because it is attempted by numerous people at the beginning of the first act. And this also confirms another aspect, the fact that comedy “is social”, in the sense that its essence is “relations with others” (Robert Bechtold Heilman, 1978: 14). This can be seen also in Act II, when Swanilda plays inside Coppelius’s house with her friends or, once again, when she intercats with him disguised as Coppélia. Moreover, when she pretends to be Coppélia, exaggeration comes into play (James Feibleman, 1962: 181), with emphasis on mechanical movements and her anxiety for Franz. Overall, the comic tone pervading the ballet “is a restorer of proportions” (James Feibleman, 1962: 181) as it ridicules what is odd and alien. This is confirmed in Act III, where the comic tone is almost imperceprtible and has left room for a more stable, reassuring sense of community. Far, far away is the horror-driven madness that leads Nathanael to commit suicide. And in this respect, the ballet exemplifies a more conservative approach to society than the novella, which is more critical and ambivalent in its vision of madness and reality. The Dance of the Hours, Act III. This is a short and slightly rewritten version of an essay I wrote in 2005 for the MA Adaptation course I attended at the University of Essex, UK. I intend to soon get back to it in an updated longer form. On the question of choreotexts and their analysis in the light of dance adaptation, I am writing a paper and will soon focus on it more thoroughly. The double is a recurrent theme in the Romantic ballet and can be found in other works, such as Giselle and Swan Lake. - Sally Banes, "The Romantic Ballet: La Sylphide, Giselle, Coppélia", in Dancing Women: Female Bodies on Stage (London: Routledge, 1998). - Gwen Bergner, Nicole Plett, “Uncanny Women and Anxious Masters - Reading Coppélia Against Freud”, in Moving Words - Re-Writing Dance, ed. Gay Morris (London: Routledge, 1996), pp. 159-179. - Fred Botting, The Gothic (Cambridge: D.S. Brewer, 2001). - Michel Foucault, Birth of the Clinic, trans. A. M. Sheridan (New York: Pantheon, 1983). - Sigmund Freud, "The Uncanny", in The Standard Edition of the Complete Psychological Works of Sigmund Freud, vol. XVII, trans. James Strachey (London: The Hogarth Press, 1964), pp. 217-252. - Ian Grant, "Bilogical Technologies: the History of Automata", in New Media: a Critical Introduction, ed. Martin Lister (London: Routledge, 2003), pp. 314-350. - Marinella Guatterini, “Coppélia”, in L'ABC del balletto (Milan: Mondadori, 1998). -Ivor Guest, The Ballet of the Second Empire (London: Pitman Publishing, 1974). - E. T. A. Hoffmann, “The Sandman”, in The Best Tales of E. T. A. Hoffmann, ed. and trans. E. F. Bleiler (New York: Dover Publications, 1967), pp. 183-214. - Sarah Kofman, “The Double is/and the Devil - The Uncanniness of ‘The Sandman’”, in Freud and Fiction, trans. Sarah Wykes (London: Polity Press, 1991), pp. 119-162. - Ovid, Metamorfosi, trans. Piero Bernardini Marzolla, with Latin text (Turin: Einaudi, 1994). - Karin Preub, The Question of Madness in the Works of E. T. A. Hoffmann and Mary Shelley (Frankfurt Am Main: Peter Lang, 2003). - Birgit Röder, A Study of the Major Novellas of E. T. A. Hoffmann (Rochester: Camden House, 2003). - Jonathan Sawday, The Body Emblazoned - Dissection and the Human Body in Renaissance Culture (London: Routledge, 1995). - Barbara Maria Stafford, Body Criticism - Imagining the Unseen in Enlightment Art and Medicine (Cambridge: Massatchusetts Institute of Technology Press, 1997). Franz and Swanilda in the Grand Pas de Deux, Act III. Coppélia, chor. Arthur Saint Léon, music Léo Delibes, libretto Charles Nuitter, based on E.T.A. Hoffmann’s “The Sandman”, featuring Giuseppina Bozzacchi (Paris: Théâtre Impérial l’Opéra, 25 May 1870). Coppélia, dir. George Ogilvie, rechoreographed by Dame Margaret van Praagh, feat. 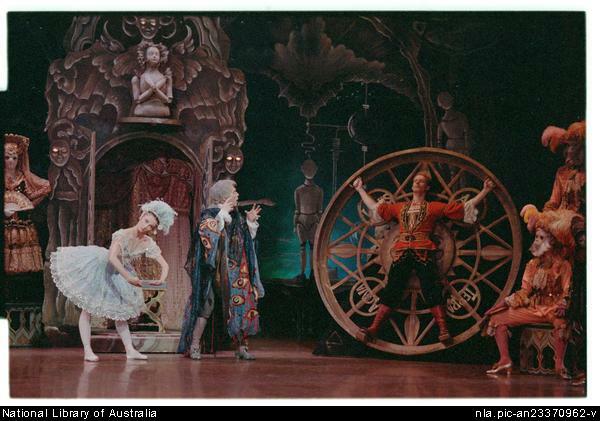 Lisa Pavane, Greg Horsman and the Australian Ballet (Australian Broadcasting Corporation, 1990).